iStatements™ is our Statements/Royalties managing module to help publishers easily manage their revenue. Track and manage license revenues, publishing rights, phonographic rights. Easily compute complex royalty calculations. Have a dynamic statement and revenue projections. 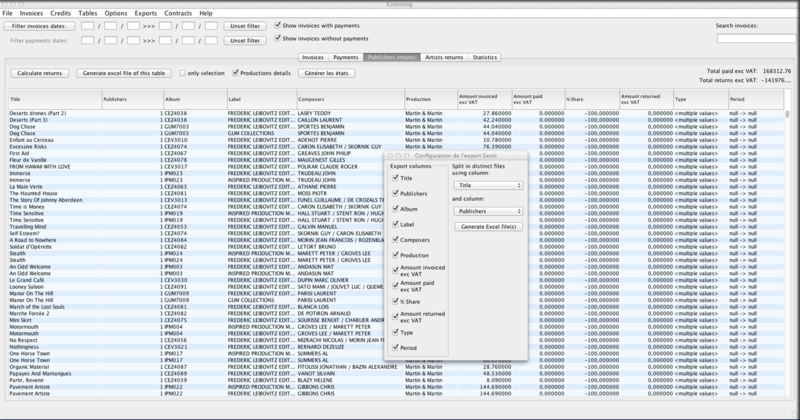 Generate comprehensive reports by catalog, label, title/work. Track contractual and royalty earnings payments. Show the full breakdown of receipts and amounts owed. Send selected data to your standard industry accounting software.